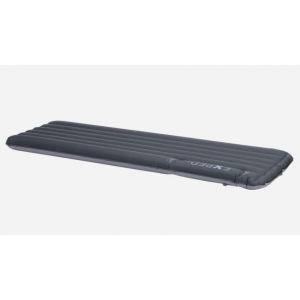 This is singly the most comfortable, and warmest sleeping mat I've used, and I've been through quite a few. It takes the lumps and bumps out of rough ground, and is great on any surface. However (and this is the only reason it gets 3 stars instead of 5), on a recent 25 days continuous use (in huts and shelters) on the Bibbulmun Track in Western Australia, about half the internal dividing baffles delaminated from from the outside of the mat. This meant it ended up being round rather than flat. I have taken it back to the shop I bought it from, and they are looking into it. I was looking for the warmest most comfortable pad there is. This is it. The R value is the best out there and the temp rating is -36 F. It is so comfortable that I take it everywhere when I'll be sleeping on the ground. It has everything you would want in a pad. I am careful not to puncture it and that's the only worry I would every have with this pad. Otherwise it's the best out there. This pad is well worth its cost if you "sleep cold" like I do. I recently used this pad on a 4 day winter hike with night time temps in the mid 20's and wind chill factors in the mid to low teens. I can't recommend it highly enough. Great R value compared to other 4-season pads. It's a little on the heavy side-38 oz's, which includes the stuff sack-which you use to inflate the pad. I found the little bit of extra weight to be well worth it. Nothing beats getting a good night's sleep. Incredibly cush, warm, and only slightly heavier than a Therm-a-Rest...just buy this pad, OK? You won't regret it. Stay more comfortable and warm while using a lighter bag. Is easier on my back and shoulders. Using the Down 9 Delux with a lighter down bag lets you still pack lite with maximum comfort. Preformed very good in a wet environment. If you might be cold and don't want to be, then get this mat. Think how much you'd give not to be shivering all night long; this is cheap by comparison. It works. It feels like a real mattress (no sore back or shoulders; I use it year 'round for this reason). Nothing better. Enough said. Hey, you should buy this mat in Canada at MEC, as it is WAY cheaper and in Canadian $$ too. The mat has transformed our backpacking experience. We have moved to a lighter sleeping bag system as the R value is awesome (you don't lose as much heat to the ground, so you need less bag). 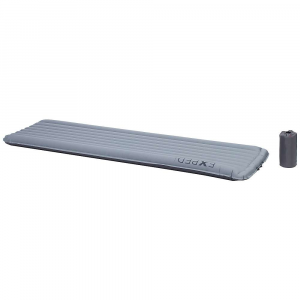 Although the mats weigh a bit more than some, it makes up for itself by enabling you to downsize on your sleeping bag weight, and it's super comfortable. Workmanship and finish on the mat is excellent. Non-self-inflating, but once you get used to their pump sack system, it doesn't take long to inflate. Check it out, it's truly amazing! 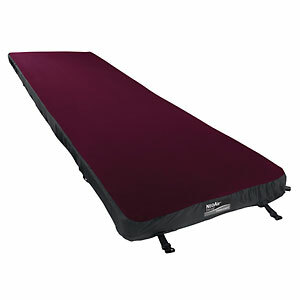 The DownMat 9 DLX has been discontinued. 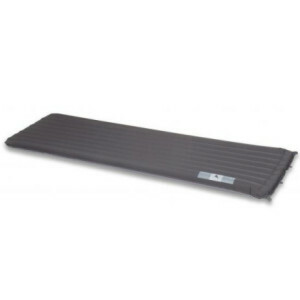 The Exped DownMat 9 DLX is not available from the stores we monitor. It was last seen May 28, 2009	at Altrec Outdoors.